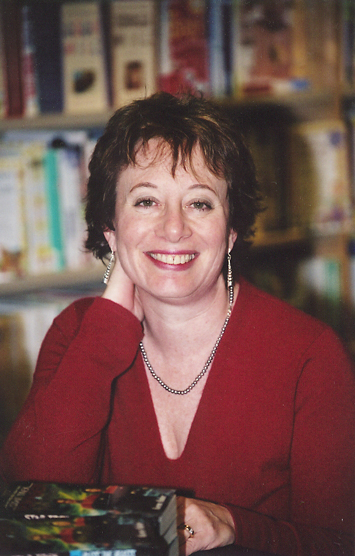 Karen Haber is the author of nine novels including Star Trek Voyager: Bless the Beasts, and co-author of Science of the X-Men. She is a Hugo Award nominee, nominated for Meditations on Middle Earth, an essay collection celebrating J.R.R. Tolkien that she edited and to which she contributed an essay. Her recent work includes Crossing Infinity, a YA science fiction novel of gender identity and confusions. Her other publications include Exploring the Matrix: Visions of the Cyber Present, a collection of essays by leading science fiction writers and artists; Kong Unbound, an original anthology; an essay for The Unauthorized X-Men edited by Len Wein; and Transitions: Todd Lockwood, a retrospective of the artist's work. Her short fiction has appeared in Asimov's Science Fiction Magazine , The Magazine of Fantasy and Science Fiction, and many anthologies including Sandman: Book of Dreams, edited by Neil Gaiman. With her husband, Robert Silverberg, she co-edited Best Science Fiction of 2001, 2002, and the Best Fantasy of 2001 and 2002 for ibooks. Later she co-edited the series with Jonathan Strahan through 2004. She reviews art books for Locus Magazine and profiles artists for various publications including Realms of Fantasy. Copyright 2010 Karen Haber. All rights reserved.